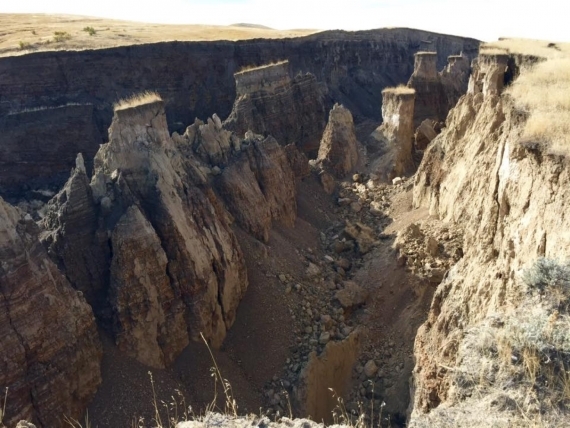 Over the weekend an ENORMOUS crack in the earth developed in the southern foothills of the Big Horn Mountains. The mountain range lies east of the Yellowstone super-volcano. 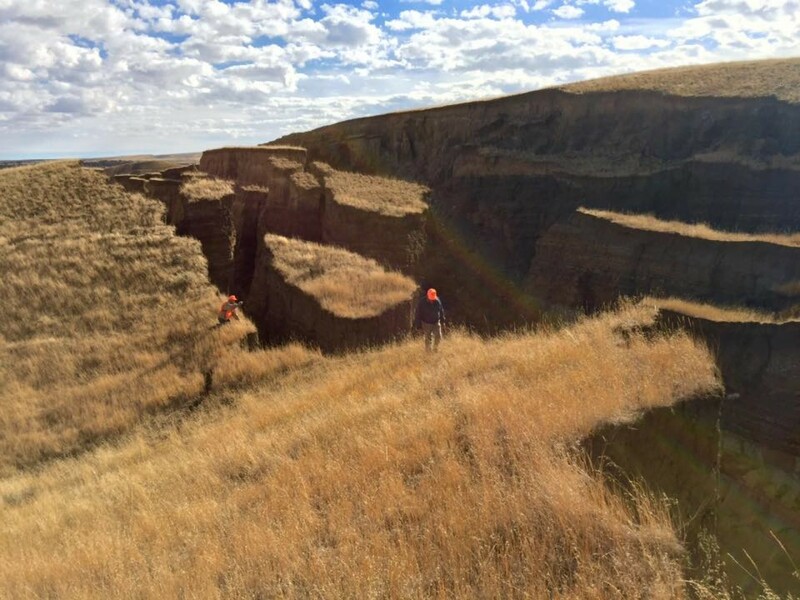 Estimates by some put the crack at 750 yards long by 50 yards wide by 50 feet DEEP — and growing! 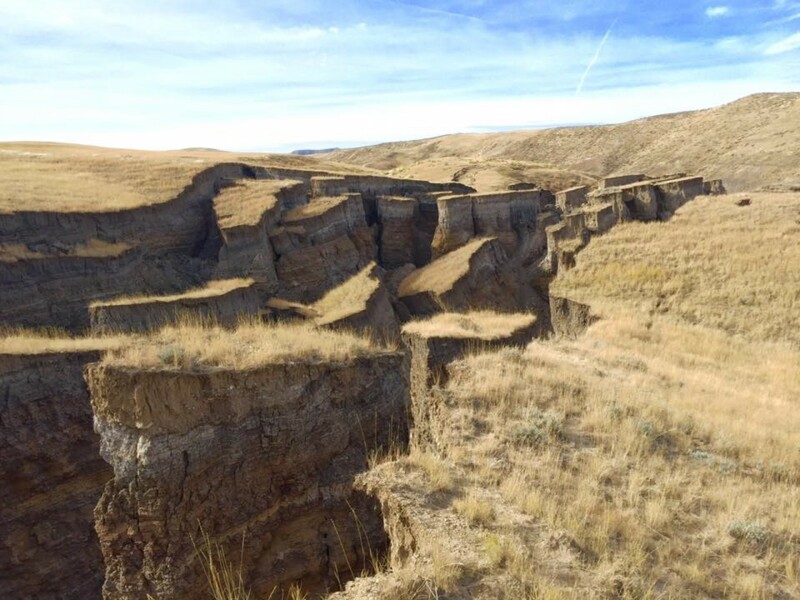 As shown in images taken by Randy Becker, this is not small event; and the US Geological Survey confirms there were NO earthquakes in the area before, during or after the crack developed. It appears the continent itself is shearing rather than shifting. It is shifting and slipping that causes earthquakes, while shearing quietly takes place as the land tears. 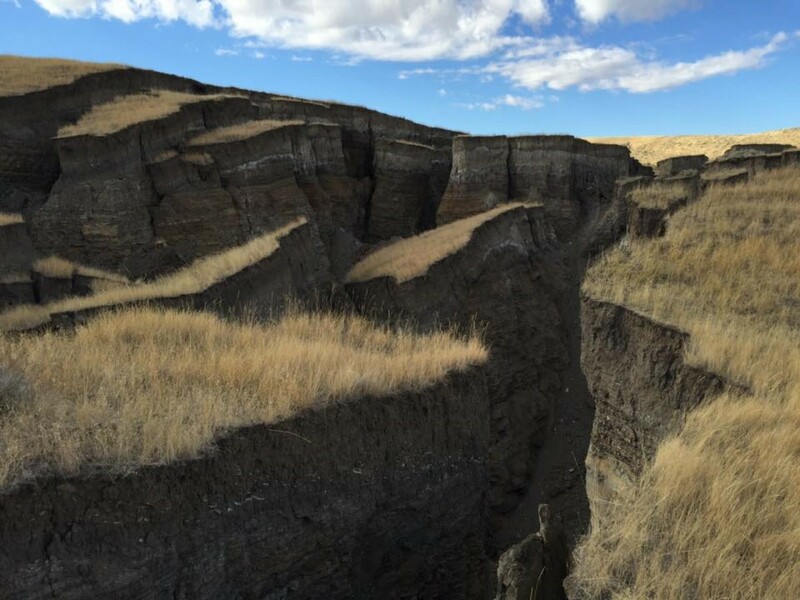 This report shows data indicating magma movement going east from Yellowstone, they also point out an area just east of Yellowstone that was getting ready to open up – wonder if this is the area they were talking about.